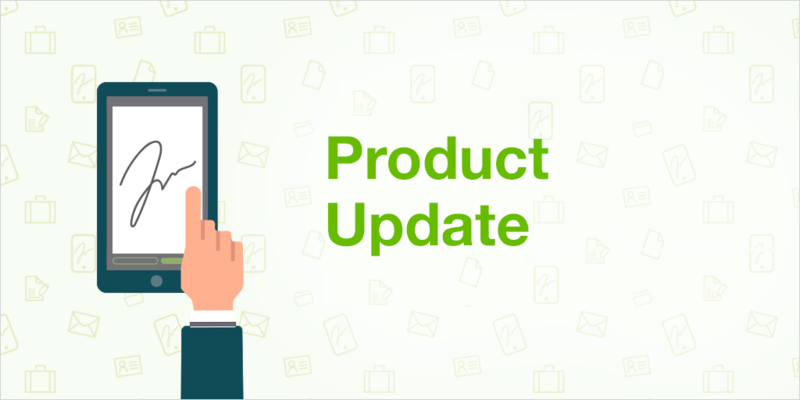 The time has come to announce our latest product update. During the last two months, our team has been working hard to introduce new features on our platform. Specifically, improving the inbox. An example of one noteworthy improvement is that the date of creation and the type of delivery are now shown for every signature request, and there is the option to send batch deliveries with two-step authentication via SMS. And we have also implemented a series of changes to increase speed, with which the inbox now takes less than a second to load. If you want to learn more about the latest improvements we’ve introduced, don’t stop reading this post. One of the newest and most useful features is that the date of creation and the type of delivery for all sent requests are now shown on the dashboard. This allows you to quickly obtain information about your movements within Signaturit. Now all users (including API users) can extract data from the inbox in .csv format. This way you can organise your data in columns in a simple yet complete way, making graphs and extracting even more information. This way of representing information is especially useful for clients who don’t have any technical knowledge. Ever since we launched the new dashboard, document management is easier than ever before, since all you have to do is click on the icon with the three points to access the actions that are most frequently used with each document. In this new product update, we have also added a functionality to improve the organisation of your signature requests: now all our users can name the requests without changing the file’s original name, in order to organise the inbox and define the signature requests as they’d like. If you need to send a large number of identical documents to be signed and you want to save time, automate the process and send them individually to each recipient, then what you’ll be using is called batch delivery, a feature that our users have been extremely happy with. As part of our goal to continue improving this type of delivery, it is now also possible to send these requests in batches with SMS verification. This way, each signer will receive a code on their mobile phone as an authentication method. Using an incredibly visual format, with colours or percentages, we are also launching a new credit counter feature so that with just a glance, you can get information on all of your credits. This will help you plan the delivery of your documents or SMS’s without any unwanted surprises. You can see the amount of credits you have left, when they will be renewed, or get in touch with our support department to purchase more if needed. We have also recently implemented a few technical changes in order to accelerate the performance of the tab that includes the deliveries of advanced electronic signatures, which is Signaturit’s featured product. 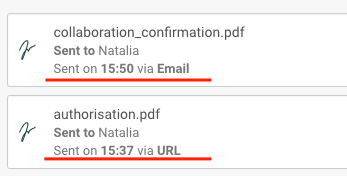 Thanks to these changes, the inbox loads even faster: we have gone from more than 1 minute with the previous technology to an average of less than 1 second with the new technology. We are still testing out the first version of our electronic signature app that we have been working on since July. In addition to basic functionalities that allow you to sign with electronic signatures on mobile devices in an agile way, with the new app we will also facilitate the signing of documents from desktop computers. We will be offering an alternative system to the signature written with a mouse, which will undoubtedly satisfy those of our users who care the most about the appearance of their signature. We will have all the information on this new app in our next product update. If you have any questions regarding this or other updates to our electronic signature solution, email/SMS certificate or electronic identification, you can visit our Help Center. If you want to suggest new improvements, please send us an email at soporte@signaturit.com.